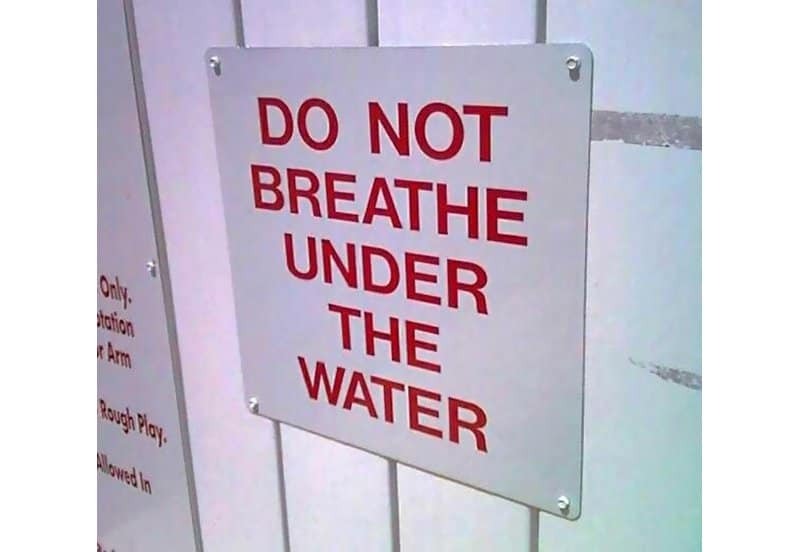 The idiocy of the human race really comes to light when signs are needed to describe, explain or warn about the absolute obvious. As bad as these signs make out people to be, it does make for some entertaining thoughts. It really does make a person wonder why those signs had to be put up and what situations arose before them. 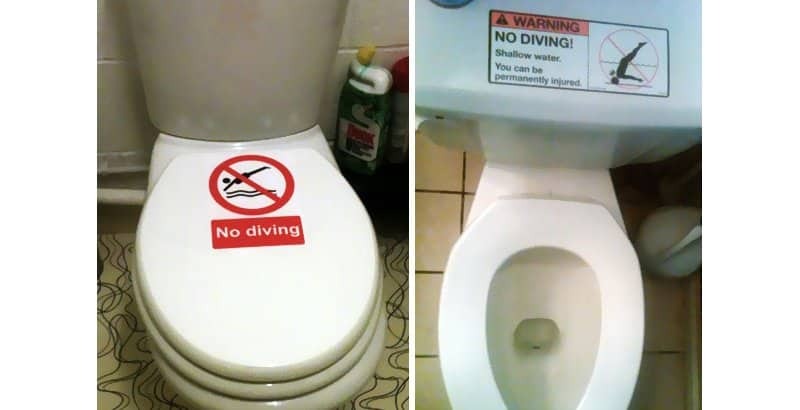 This is a list of ten hilarious signs showing the idiocy of humanity in the best way possible. 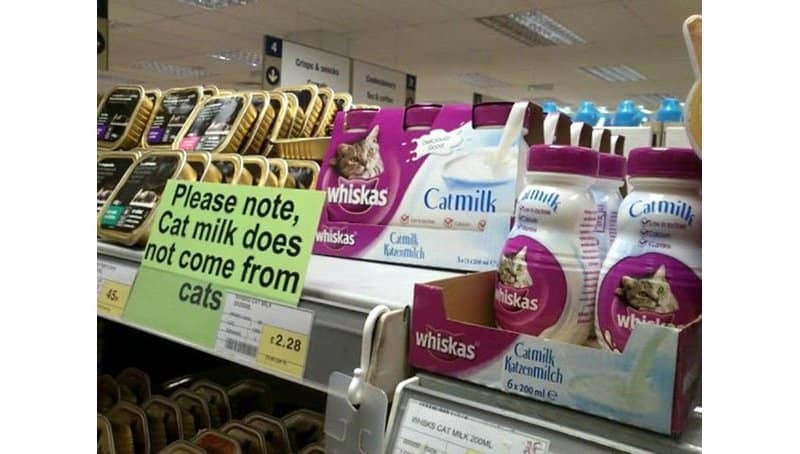 Thanks to this sign everyone knows that Cat Milk doesn’t actually get milked from cats. The only question we have now is why would anyone actually want to know whether it does. Lollipops are nice, but getting to live to a ripe old age is nicer. 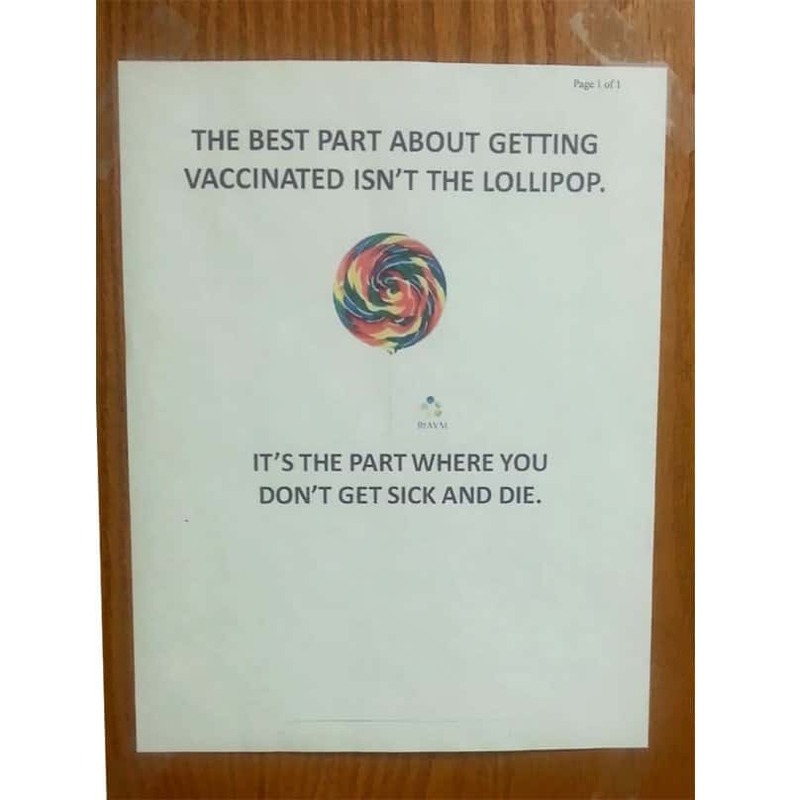 Thank you vaccinations. 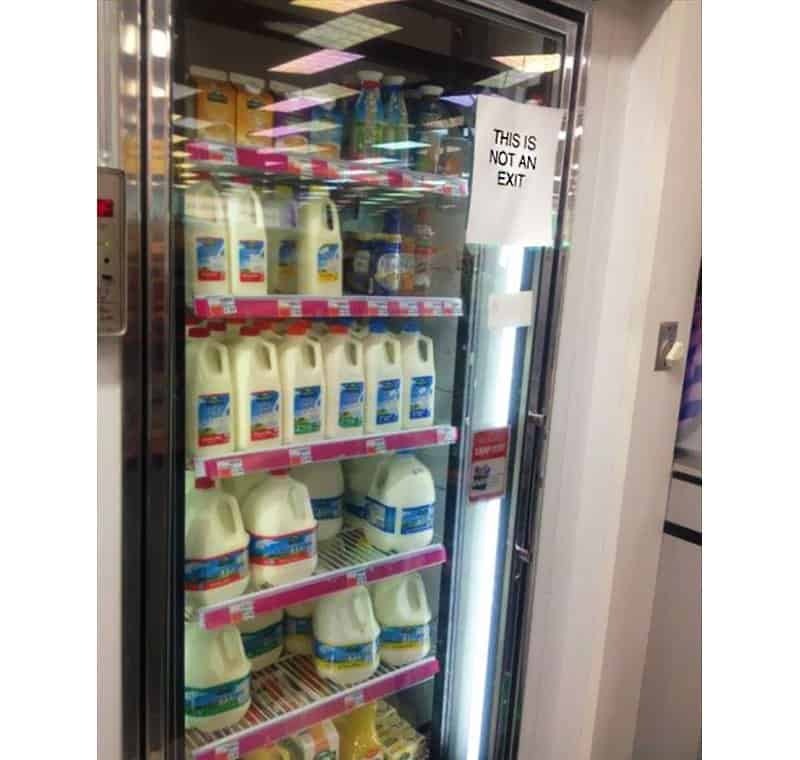 This is not a slightly more lame version of Harry Potter where you have to run into the milk fridge instead of platform 9 3/4. Maybe Aquaman used this local pool as his training ground and this resulted in the deaths of many young children attempting to copy him. Who are we to judge. Same deal as the previous post but this time Aquaman took it a little too far. 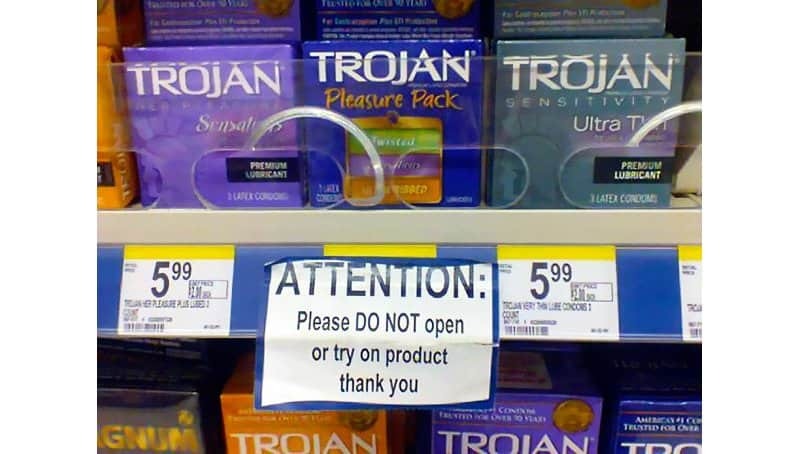 Not only is the supermarket isles not the place to try on clothes, its certainly not the place to try on condoms. Also, who wants to try on condoms before you buy them? This is definitely a one time use item. 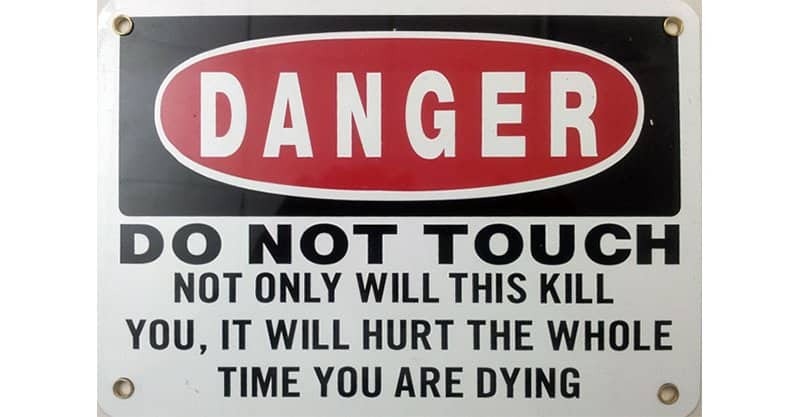 Don’t touch. If you don’t understand that you shouldn’t touch it, then at least the explanation will give you incentive not to touch. It is nice to think that some people believe in ghosts and haunting’s. 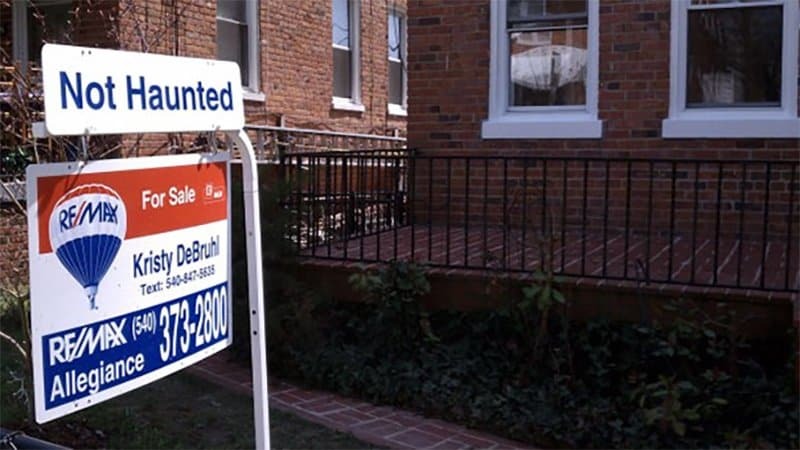 Maybe if the person needs to ask if the joint is haunted you shouldn’t try to sell them the house. Or just do the opposite and take them for all they’re worth, because they certainly seem gullible enough. 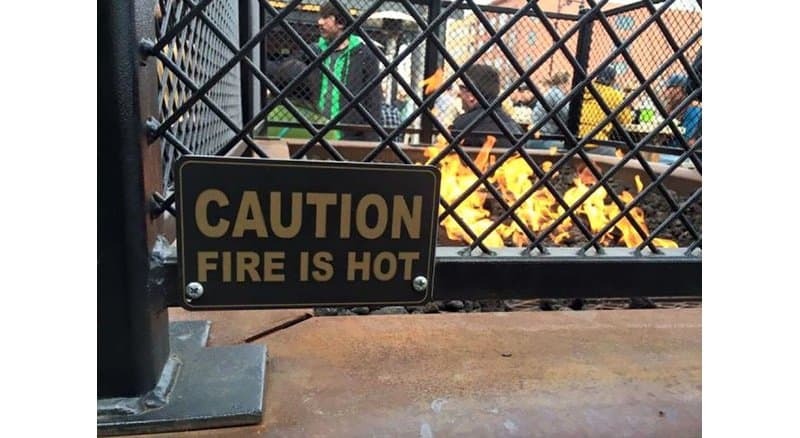 Caution, hot fire is hot. Captain Obvious strikes again. 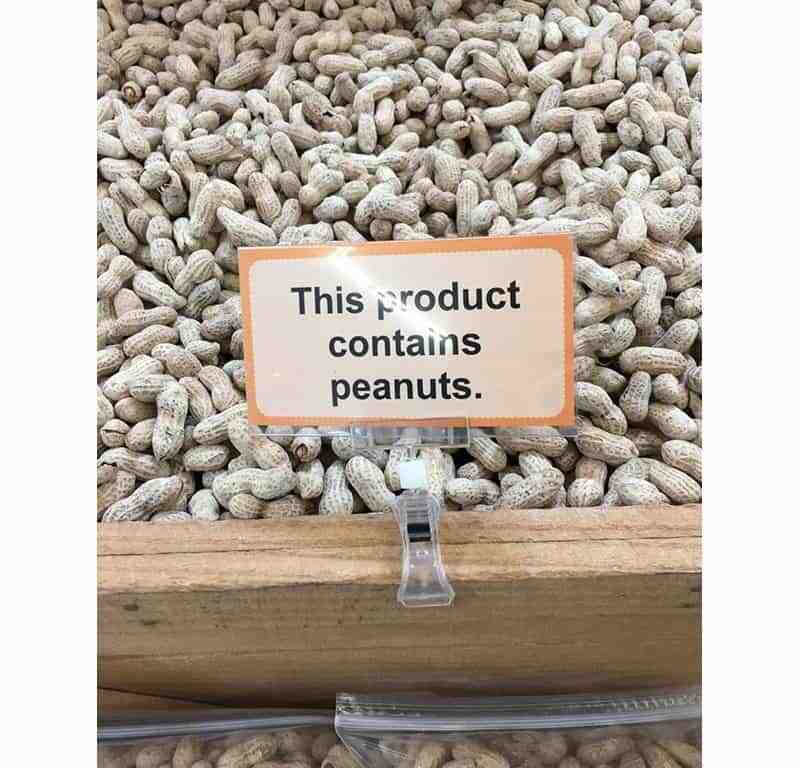 Whoever doesn’t realize that peanuts are nuts just by the name deserves to be left alone to collect the Darwin Award.